The Townsend Spring Festival fills the “Peaceful Side of the Smokies” with bluegrass music for 2 days on May 5-6, 2017. The air also fills with the smell of food and the sights of arts & crafts, children’s attractions, and a super friendly and relaxed crowd of happy families and friends celebrating this beautiful area at the gateway to Cades Cove. While Gatlinburg and Pigeon Forge are the bustling scene of multiple attractions, the Townsend area to the western end of Great Smoky Mountains National park has its own more rustic charm, as well as gorgeous views of the mountain scenery all around. This is where you’ll find people who seek out the Wears Valley cabins to stay in. 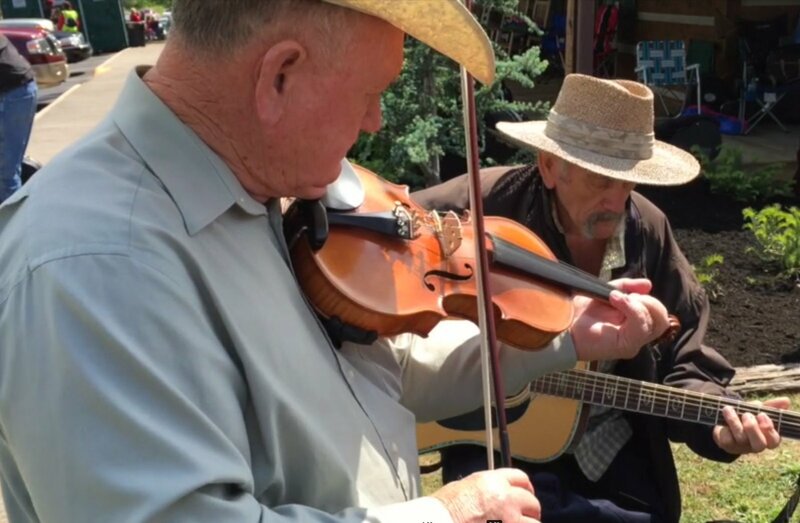 On the Friday and Saturday, dozens of bands and performers will render that old Appalachian music, combined with many a modern country and mountain tune. Dozens of craft vendors will be present with demonstrations of their skills and displays of their wares, to purchase and admire. There will be demonstrations of the old art of clogging, oak shingle-making, beekeeping, basket making, and more. This is your chance to learn how to make cornmeal, and even how to drink out of a moonshine jug! Food will not be neglected, as a dozen or so vendors serve up many kinds of barbecue and smoked dishes, vegetables, kettle corn. sandwiches, cakes, ice cream and soda, and all the fixin’s to fortify the hungry festival-goer. Bring a lawn chair and settle in to music lasting all day and into the evening. Stay tuned for more Townsend charm as Sunday, May 7 follows the Spring Festival with Old Timers Day, held at the Old Cable Mill in Cades Cove. It’s a true celebration of the heritage and culture of Cades Cove, with tales of the area and past times, accompanied by lots of music – something never far away from a Smoky Mountains event. Discover Townsend, but don’t tell everyone, as you realize why the people over here kind of like it quiet. See the Townsend Spring Festival website for full details of who, when and where, as the Cades Cove end of the area ushers in the first of many Spring Festivals in the Smoky Mountains.